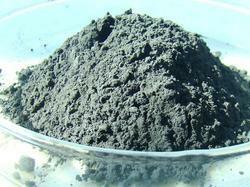 We offer Iridium Powder & Crucibles etc. Iridium is a rare, precious metal which is hard, brittle and has a low ductility, which makes it a difficult material to work. In appearance, it is a lustrous, silvery metal. We manufacture and export high purity copper powder. 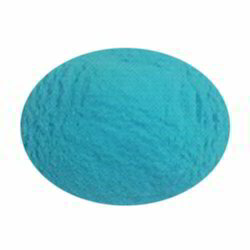 Our copper powder is offered in a wide array of particle sizes. Broadly used in self-lubricating bearings and electrical and the electronics industries. Our Copper Powder is strictly tested using advanced technology quality testing machines. To meet the different needs of the clients, we provide Copper Powder in various grade sizes and blends. Introducing our new product - Silver coated copper flake powder as a replacement for pure silver flakes in certain special applications like conductive inks, etc. Copper powders are manufactured by water-atomising, air-atomising or by electrolysis to give irregular, spherical and dendritic morphologies respectively. Properties and, therefore, uses vary with particle shape / size / surface area and by carefully selecting the correct grade, copper powders find applications in diverse markets and technologies. Copper Powder is produced by water atomisation process. Copper Powders are mainly used in powder metallurgy application to produce Bronze Bearings and as an additive to Iron Based mixes. Best uses for Copper Sulphate or any Copper Salt manufacturing. - professionals, we are actively involved in offering a trendy range of Copper Powder to our valuable customers at prices.